Use this roster to activate all the injured players in NBA 2K14. In addition, the big rating deductions have been removed (except for the hot and cold status) to make the players play at their peak capabilities. 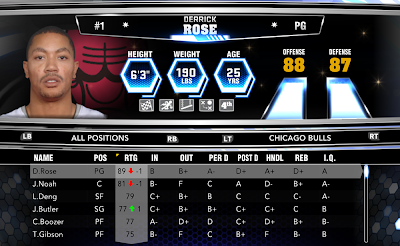 This is based on the 12/9/2013 roster update from 2K Sports. Here is the full list of players that have been enabled in the roster. These are the players who have red or yellow names (denotes injuries) in the default game roster. Please remember that in this roster, the playing minutes/team rotations are based on the official update. If you want to add a player to the current lineup (Ex. 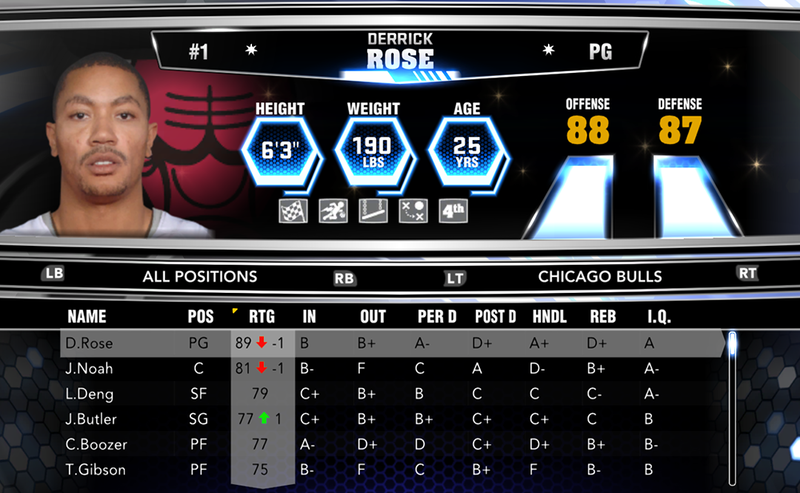 Derrick Rose who's currently on reserve), go to Options > Manage Roster > Situationals then swap minutes and move players. To edit the playing minutes for each player, go to manager roster > rotations. Here you can also let the CPU automatically rebuild the rotations. 4. Play NBA 2K14 go to options > load/save > load > choose the no injuries roster.